No. of Rows: 11, 13, 15. Seed Box Capacity: 80 - 100 lit. By AGRIPAK International based in Karachi, PAKISTAN. There are many ways to seed your fields and the John Deere 1590 Box Drill is perfect to handle all of them – from conventional-till to no-till, from grains to legumes, from plain grain to grass seed or even combination grain/fertiliser seed boxes. By John Deere based in Moline, ILLINOIS (USA). 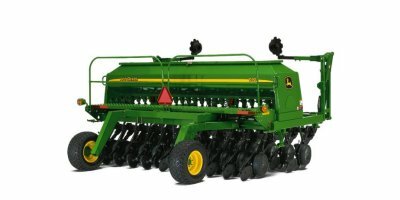 FLEXII Series Grain Drills feature the Jumbo sized grain box and the legume or small seed box. 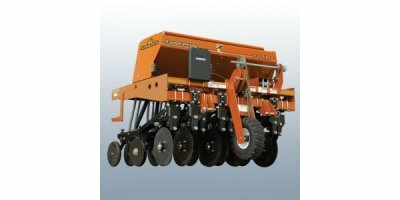 Planting widths are available from 5.3 ft. with model FLXlI-88G for smaller seedings up to 15 ft. with model FLXlI-822G for seeding larger production fields. 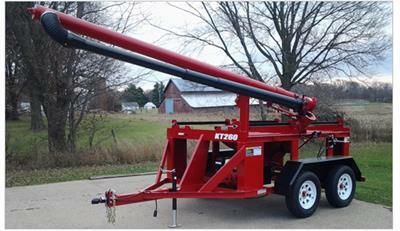 By Truax Company, Inc. based in New Hope, MINNESOTA (USA). By Bulk Seed Systems, Inc. based in Wabasso, MINNESOTA (USA). 2 Poly Seed Box Capacity. Honda GX160 (Electric Start). Direct Mount Pump (No Belts). Direct Mount Motor (No Belts). 6' Auger Tube - Poly Flighting. Wireless Unload Switch. 2 X 3,500# Rubber Torsion Axles. ST205 75R / 14' Tires. By Little Sioux Prairie Company based in Spencer, IOWA (USA). Our Pro II is the latest, fastest and most popular Pro-Chute. It snaps onto your seed box in under 5 seconds, without looking underneath to line up brackets. Never stand underneath a raised box again. 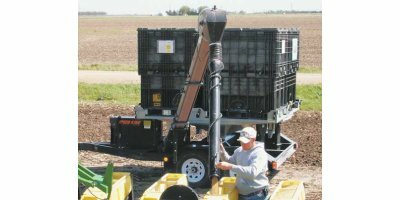 Pro II extends 22 inches beyond the box for better reach to your Seed Tenders or directly into your bulk planter or drill. 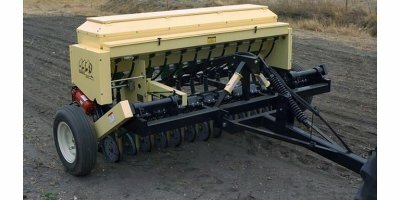 20m High quality single disc seeder for all conditions. Rows: 54-66. Working Width: 20m. Disc Spacing: 375-300mm. HP Requirement: 330-400hp. Seed Box Capacity: Optional. Disc Type: Single disc. Weight: 16200-19800kg. By Serafin Machinery based in Griffith, AUSTRALIA. The 4m RD4000 electronic Roller Drill is another great implement from Willett. With 2 x 2m hydraulic folding gangs that follow contours, breaker rings, large poylethylene seed box, European seeders and electronic controller, the RD4000 is a great performer. By Rata Industries Group Ltd based in Washdyke, NEW ZEALAND. 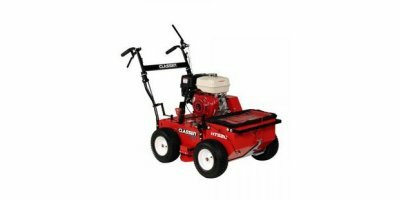 By Land Pride - Great Plains Manufacturing based in Salina, KANSAS (USA).